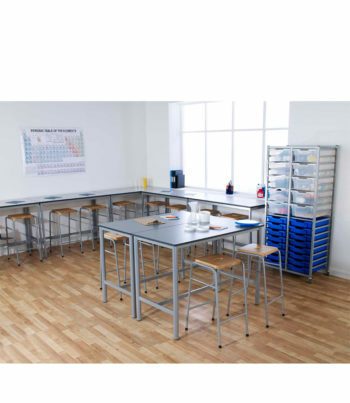 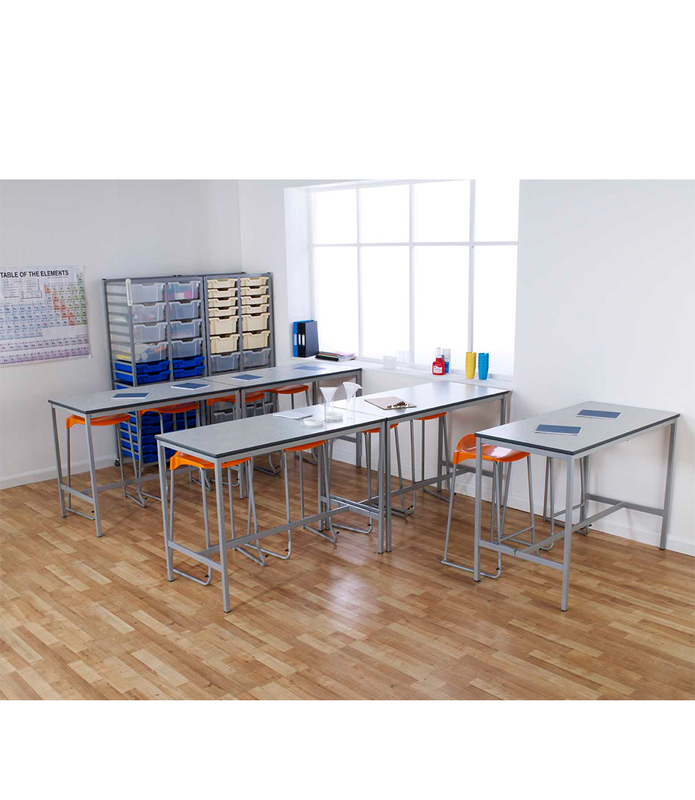 Laboratory & art and craft tables with fully welded or “crush bent” frames are an economical way of fitting out or refurbishing labs and art rooms. 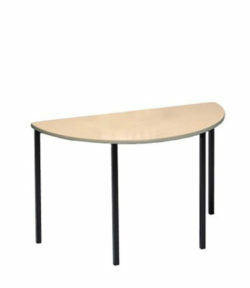 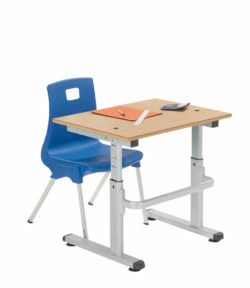 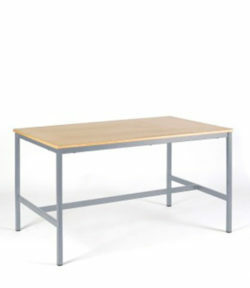 The H frame design provides greater strength and stability than normal classroom tables. Manufactured in the UK and in a range of heights, sizes and worktops they should meet the requirements of most departments. 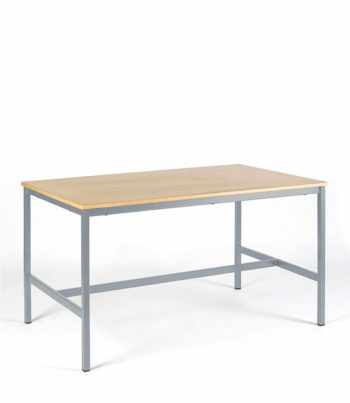 By way of explanation, “fully welded” means that the right angles formed at the four top corners of the frame have the legs welded to the sub-frame. 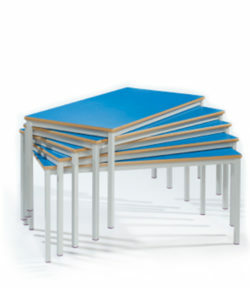 On a “crush bent” frame the right angles are formed by bending the frame tubing to 90 degrees. 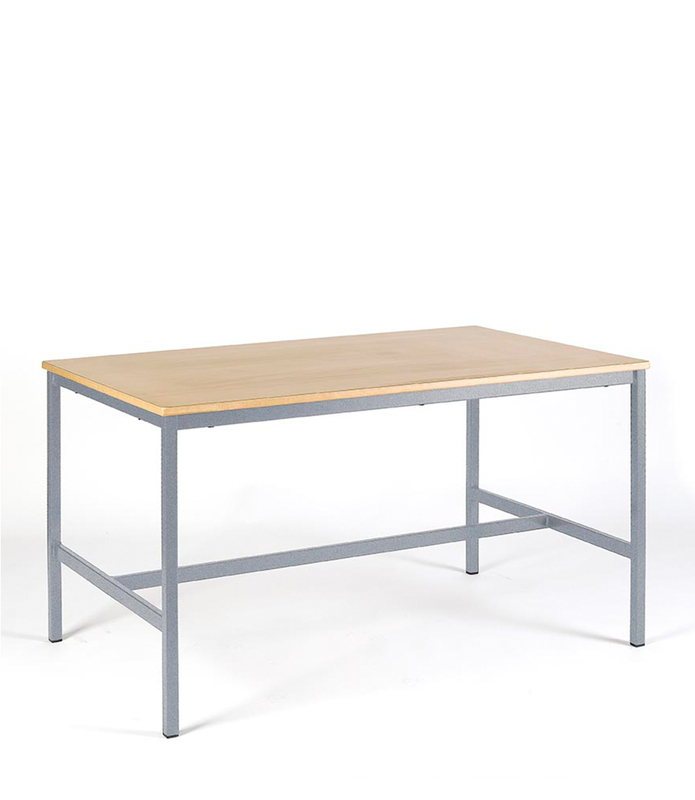 We prefer “fully welded” frames as we believe this method of frame construction to be stronger and provides a more stable table when in use.